Perky, intelligent, and friendly, the Pomeranian has served as the perfect companion to both children and elderly owners. 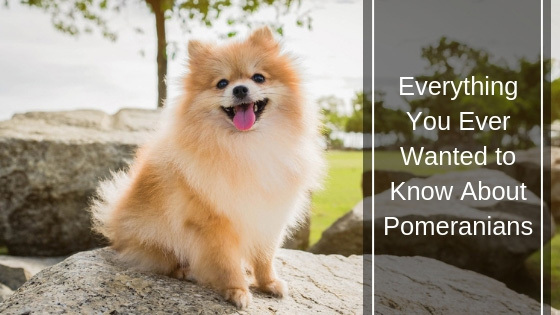 The high activity level displayed by Pomeranians and their puppies makes them capable of more intense training than most of the other dog breeds. You can spot a Pomeranian a mile away with those fluffy coats, alert eyes, and cute ears. The ancestors of the Pomeranian breed were the larger German Spitz dogs, which is why, in many countries, they are called Zwergspitz, meaning "Dwarf-Spitz." Although most Pomeranians are rich red in color, there are others with shades that range from white to black, including chocolate. They are considered to be a sturdy toy dog breed. As mentioned earlier, Pomeranians have a double coat that needs regular grooming ideally twice a week. During the shedding season, you should find time to groom your dog's fur every day if you can. Bathing your dog should be done every one to six weeks. Grooming Pomeranian puppies is just a matter of properly brushing the coat every day with the use of a comb to get rid of tangles and trimming the fur area around the dog's feet to produce a more polished look. Pomeranians are known to weigh between 4 and 7 pounds and as such require good quality protein in their diet. The Association of American Feed Control Officials (AAFCO) advises owners to provide growing Pomeranians with a diet of 22% protein and the adult ones with at least 18% protein. A fat percentage of 8% is recommended as it adds a great deal of flavor to dog food and is a good source of fatty acids that enhance a dog's brain, skin, coat, and heart. When it comes to calories, it is been discovered that some dogs of this toy breed require more while others require less in their diet depending on their metabolism and activity level. The National Research Council have recommended 300 to 400 calories for an average Pomeranian. Due to their small size, this should provide them with adequate energy at all times. Don't be fooled by the Pomeranian's diminutive appearance because within that small body lies a powerhouse. 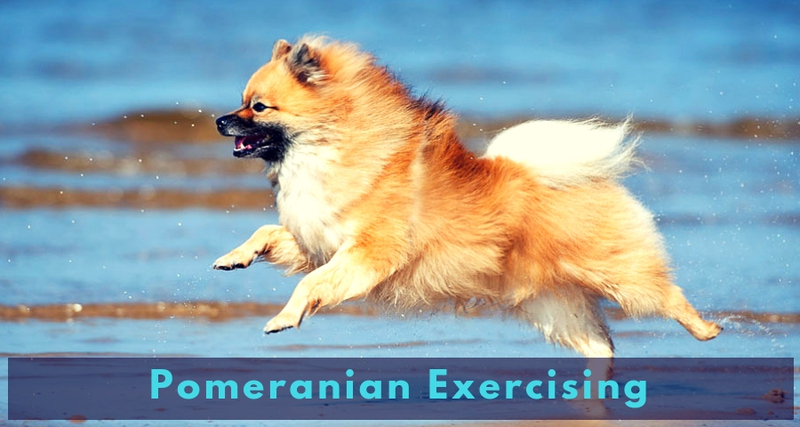 As an active canine companion, the Pomeranian needs regular exercises to maintain a good health standard so it is important that you provide your dog with proper exercise on a daily basis. As you may have guessed, going for walks and engaging in other physical activities will help stretch and maintain the muscles of the body. Another useful advantage of such activities can be seen in the enhanced circulation of blood around the body which is very good for the heart. The metabolism of a dog can also become more stabilized over time. Sometimes, it's not only about making your Pomeranian companion happy indoors. There are many other factors that could contribute to the emotional well-being of your dog. One of them is bringing your dog out for some exercise. Just like humans, dogs have mood swings. On bad days, you may improve your dog's mood through activities that interest those canine senses such as seeing new things, getting a whiff of new scents and hearing unusual noises. Pomeranians are interactive beings who need to hone their social skills every once in a while. You can do this by taking your dog on walks or to the park where it can mingle with more humans and other dogs. Pomeranians are smart and intelligent animals that display spectacular response to proper and consistent training. Don't forget to give your dog the opportunity to see different people, animals, and places by taking it out with you as much as possible. Failure to do this could cause your dog to develop some level of shyness and aggression when around strangers or in places that seem unusual to it. They require lots of socialization during the first few years of their life so as to avoid these behavioral problems. As a Pomeranian owner, you can take dog training classes and teach your dog skills like agility, which serve as the perfect means to bond with your dog, improve companionship and provide an avenue for socialization. Communication with your dog is important so you will do well to teach him or her obedience to basic verbal commands like sit, come, stay, and down. These commands are useful for everyday interactions and you can encourage your dog to learn faster with the use of tasty treats. Do Pomeranians Do Well As Emotional Support Dogs? Yes. Pomeranians are small dog that makes them fit into smaller quarters and life with families. Recently, they have been used in elderly care because their affectionate and loving nature makes them magnificent Emotional Support Dogs. If you are thinking about choose this breed to become your emotional support canine, you've made a great decision. You may get the process of registering your dog to become an ESA easily online here: https://therapypet.org/emotional-support-animal-information/. Research has shown that most Pomeranian breeds live long and healthy lives. When it comes to health problems, they have relatively fewer health issues than other breeds but are susceptible to most health problems common to all dogs. Pomeranians are prone to obesity as a result of overfeeding. 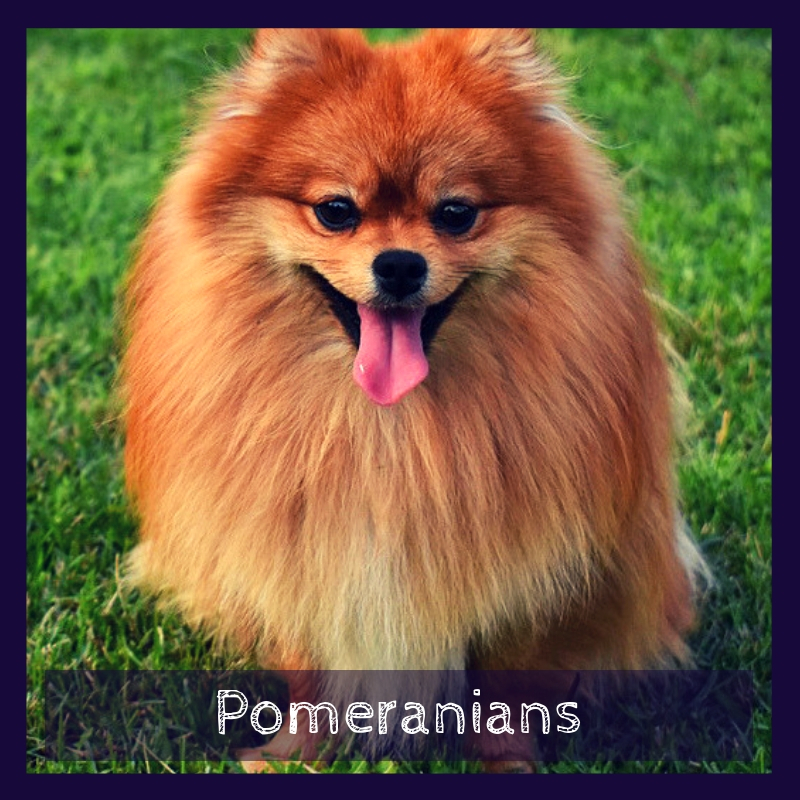 Pomeranians possess small mouths when compared to the size of their teeth hence they often suffer from cases of overcrowding in their mouth leading to various teeth and gum complications like tartar and plaque buildup due to the presence of trapped food between the teeth. They may develop Hypoglycemia when their blood sugar level drastically reduces. Severe Hair Loss Syndrome (SHLS) can cause the loss of coats in Pomeranians. Canine cataracts affect Pomeranians like it does every other dog. Trachea collapse is another possible problem. Luxating Patella occurs when there is a complication in knee joints. To keep your dog healthy and free from the above health problems you should endeavor to choose what your dog eats wisely. Regular brushing and use of dental biscuits will help solve mouth problems. It is also advisable to use a harness in place of a leash to avoid trachea collapse. Exercise with your dog every day and visit a vet clinic at least once in six months. Pomeranians are intelligent and friendly. They are great choices for people in need of canine companionship. They possess double coats that should be groomed twice a week and small mouths that should be cleaned regularly.